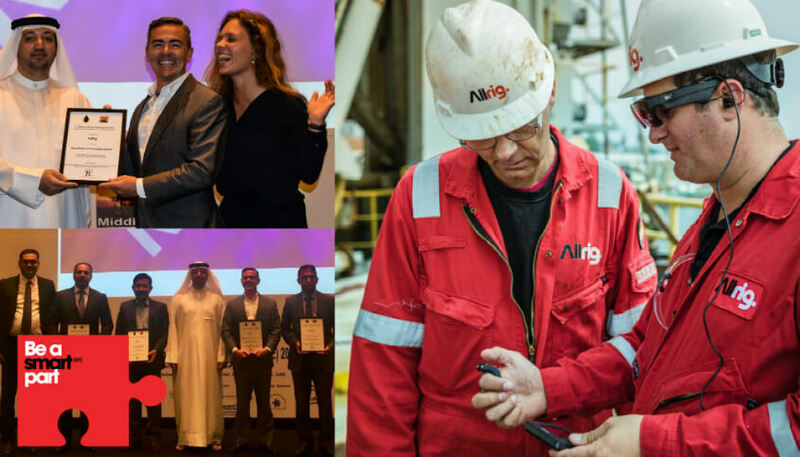 In recognition of the groundbreaking development of our 'Allrig Smart-glass' capability, we received the Excellence Innovation Award, during the recent OJME Achievement Awards 2017 in Dubai, UAE. Utilizing augmented reality technology, the ‘Allrig Smart-glass’ allows us to offer remote, real-time inspection and reporting services. Do you want more information about this pioneering project? Interested in how our smart partnerships and technologies will benefit you? Get in touch with our Subject Matter Expert Barry Newman, or read the case.